ISO-Mat Metal is a condensation control and drainage system for metal roofing. 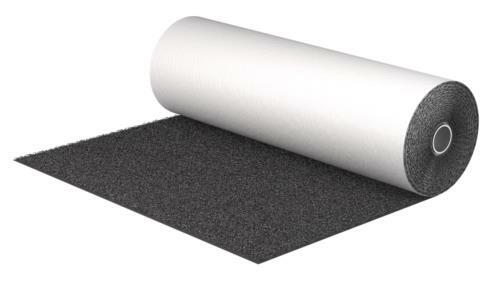 It is a fully vapour-permeable, strong, durable and waterproof barrier. ISO-Mat Metal incorporates a breathable membrane base with an additional layer of spiralled polypropylene mesh melt bonded to it, which has been designed as a moisture and separation layer for all types of standing seam and metal roofs. The high performance breather membrane base layer helps to release water vapour from the building, whilst the spiral mesh creates a 10mm air gap that allows this moisture to drain off the roof. This air gap also protects the metal roofing, as it prevents contact between moisture and metal. The spiral mesh allows the metal to expand and contract, and stops the direct transmission of summer heat and winter cold.